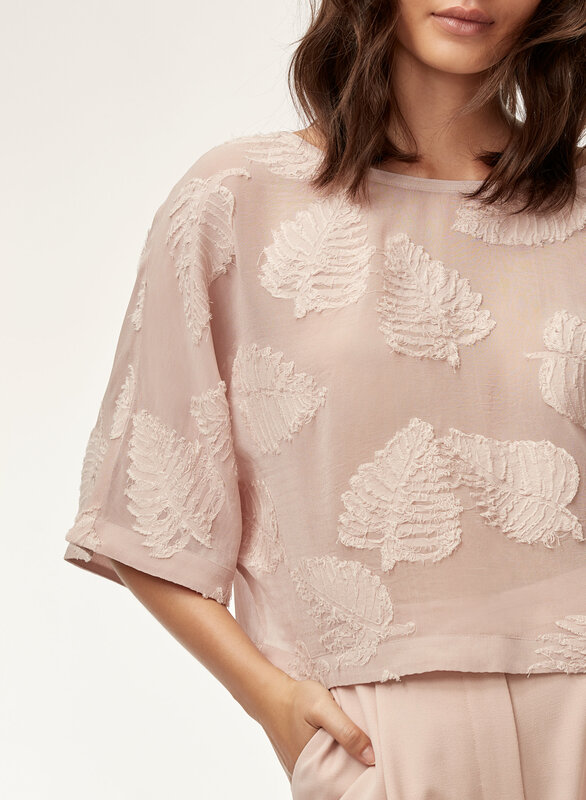 True to Wilfred tradition, the Blayze T-Shirt is effortlessly feminine. This version is done in a beautiful jacquard that's clipped by hand to create an intricate textured pattern. It was too wide for me. I typically order small, but needed either an xs or xxs. 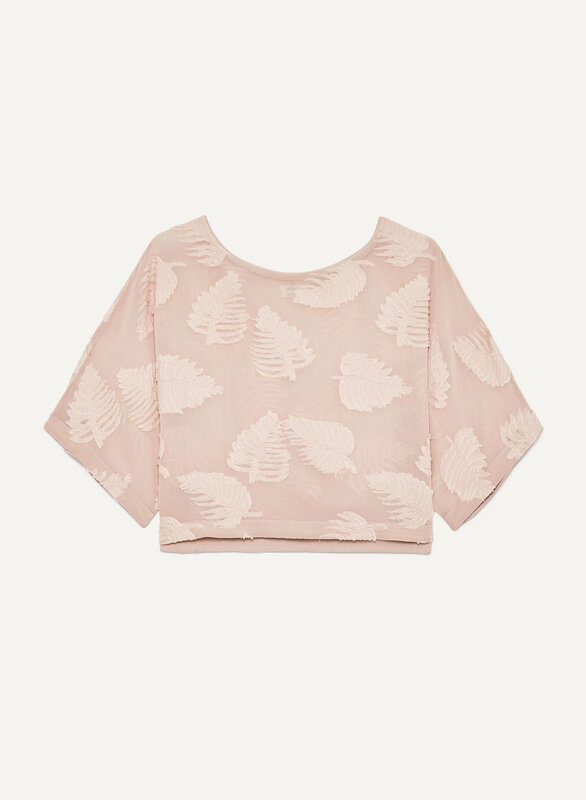 This top is gorgeous. Luv it!